Introducing, My Collection With Freshly Picked! 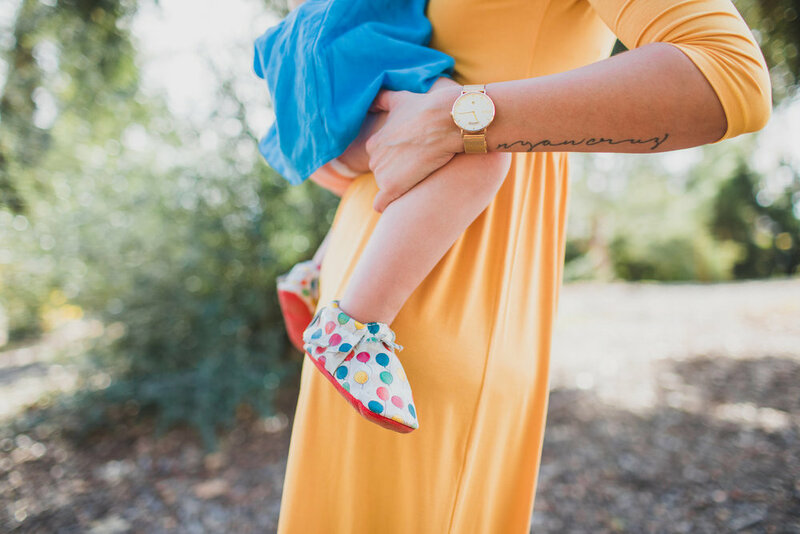 Last week I announced that I created a moccasin collection with Freshly Picked and they have officially launched this morning! I still can’t believe this is real life, as I’ve been a huge fan of Freshly Picked since I became a mother. 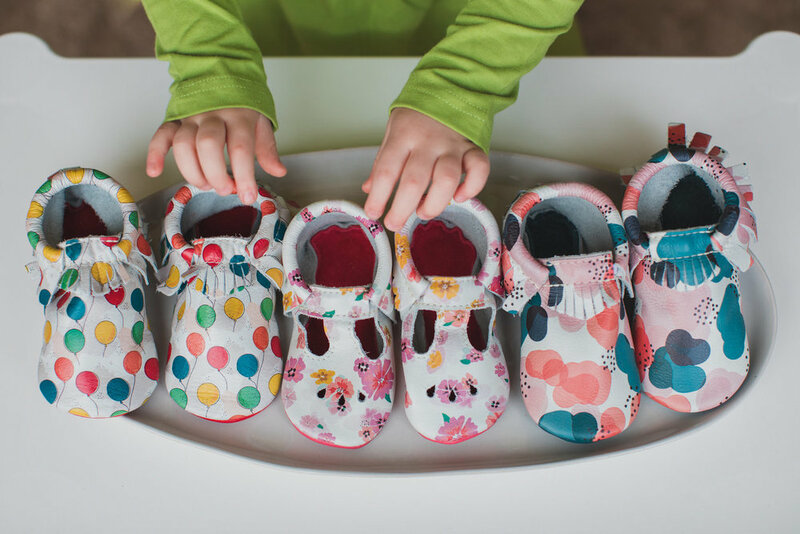 They make the most adorable baby and kids moccasins, shoes and sandals. Each pair comes in vibrant prints and gorgeous colors. 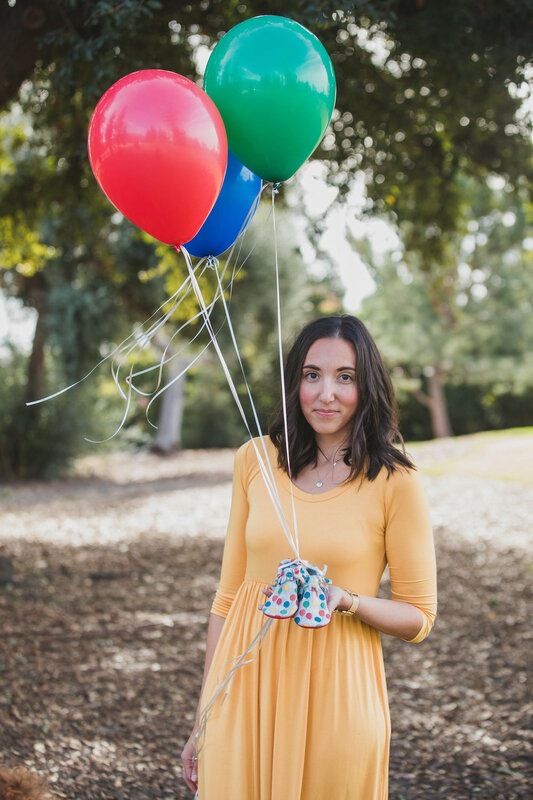 I am thrilled to have joined their team and have my hand at designing moccasins with a little Baby Boy Bakery flair. 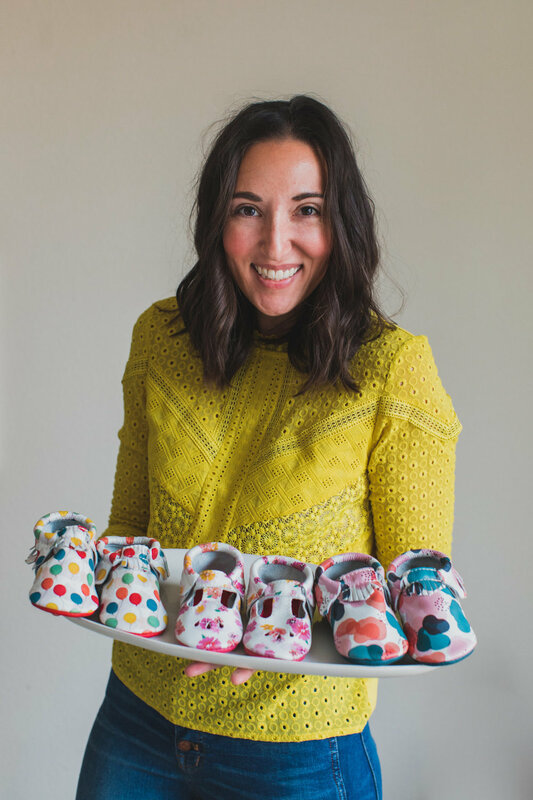 I am so grateful for the love everyone has shown the collection so far, I hope you and your little ones love my moccasins as much as I do! A little walk down memory lane, I first saw Freshly Picked moccasins on Instagram. My friend Lauren shared a photo of her son wearing a tan pair and I loved them immediately. I bought the same color for my own son Ryan and my obsession began. When I found out I was pregnant with my daughter I bought a pair of teal Freshly Picked moccasins for her to wear when coming home from the hospital. Mila wore those teal moccasins all the time and now they sit on a shelf in her bedroom as a little memento. To me, the moccasins have become much more than just shoes. I believe they are signs of a life well lived and each pair carries with it a story. I’ve always held Freshly Picked and the founder Susan Peterson in high regard. Simply because Susan built her company from the ground up and hustled so gracefully to the top. As a mother of two herself, she is inspirational on many levels. When my son Ryan passed away Susan was one of the first people to reach out to me and my family. She sent me a large clear glass vase full of white lilies and a card that simply said "I am here for you. I love you. Susan" I had only met her once before that and ever since our friendship has been that of support on every level. As a small business owner myself, having the support of Susan Peterson was quite a big deal to me and something I sort of keep sacred. As I mentioned before, for me, Freshly Picked has always been more than just a cute shoe. 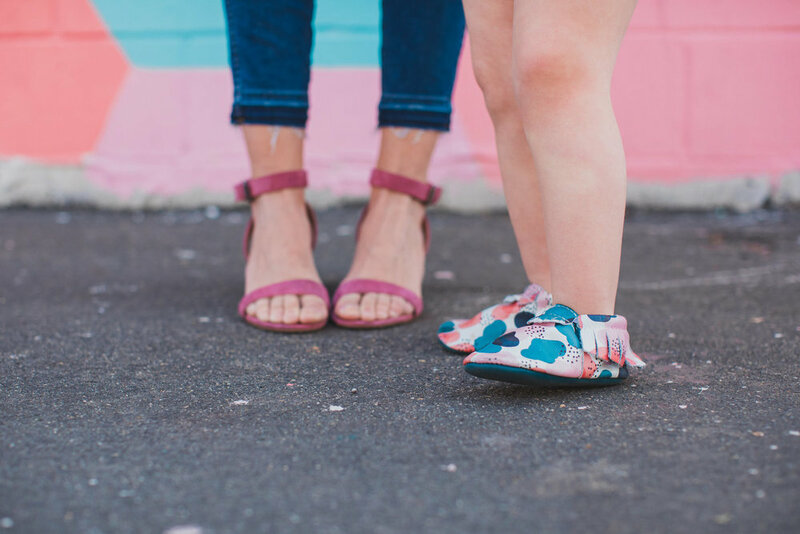 I love that my children's shoes support the stories that frame their life. When I look at the soles of each moccasin and see dark footprints I see memories ... I hear laughter. Freshly Picked has the ability to support children with adventure and I love that a simple product, a shoe, can do that. When I look my daughter's moccasin collection I don't just see shoes, I see; her first steps, our camping trip to the Redwoods, that time my husband bought her a vanilla ice cream cone or when our family cheered her on while she danced. My daughter Mila just turned two and Freshly Picked has been along for the adventure. Mila has been in a pair of moccasins for just about every memory and if I am being truthful, Freshly Picked has also been a part of the hard times too. Like a few memorable tantrums and the first time Mila took a big fall and scraped her knee. 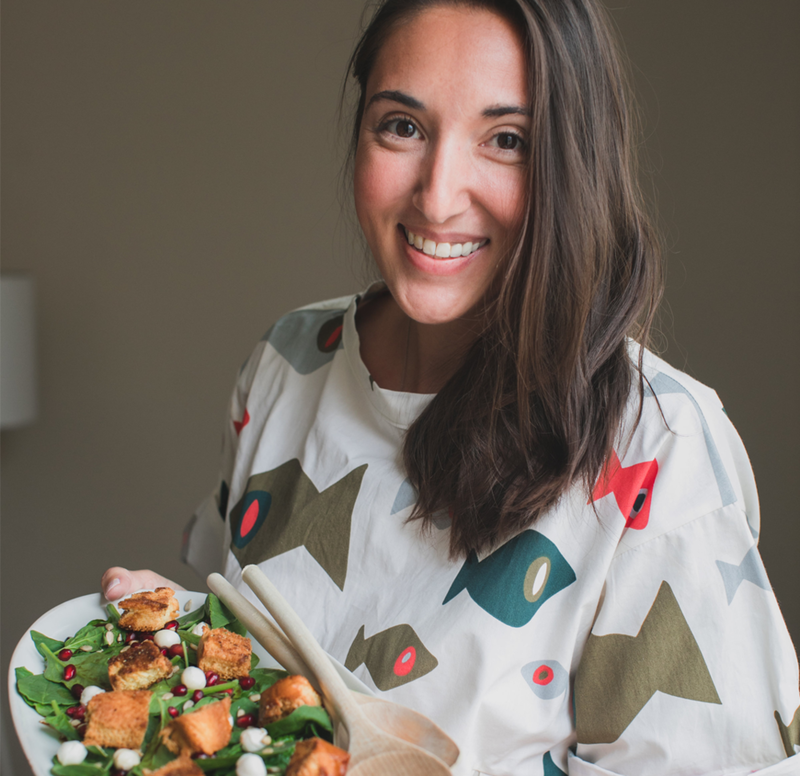 We adore Freshly Picked, the colors and prints highlight our weekly Disney trips, cooking together in the kitchen, our camping trips and our Saturday pancake dates. As a family we crave adventure and are constantly dreaming up things to do together, big or small. Sometimes it can be a trip or making a fort in our living room to watch a movie. Whatever it may be, Mila seems to be wearing a pair of moccasins. Adventure awaits and I hope we can inspire families to spend time together, through a shoe?! The concept may seem crazy, but if you own a pair of Freshly Picked moccasins then you are familiar with the nostalgic adventure they induce. I can only hope my own Freshly Picked collection will convey the same feeling for others! I have a habit of seeing beyond a product. My husband says I am too emotional, too personal. But I believe that everything ought to begin by being personal and have emotion tied tight to it. When I begin thinking about designing products I am inspired by what I know best. And what I know best are my own children and my own motherhood. You know those two things look different on everyone, but at the very core they are similar. My children inspire everything that I do, but as a mother I am drawn to children and never just want the best for my own. I want the best for every child. The very best thing you can do for your child is to spend time with them and take them on adventures big or small. If you follow along with me and my family on social media, you know that most of our adventures take place at home, within our kitchen or in Mila's bedroom playing make believe. 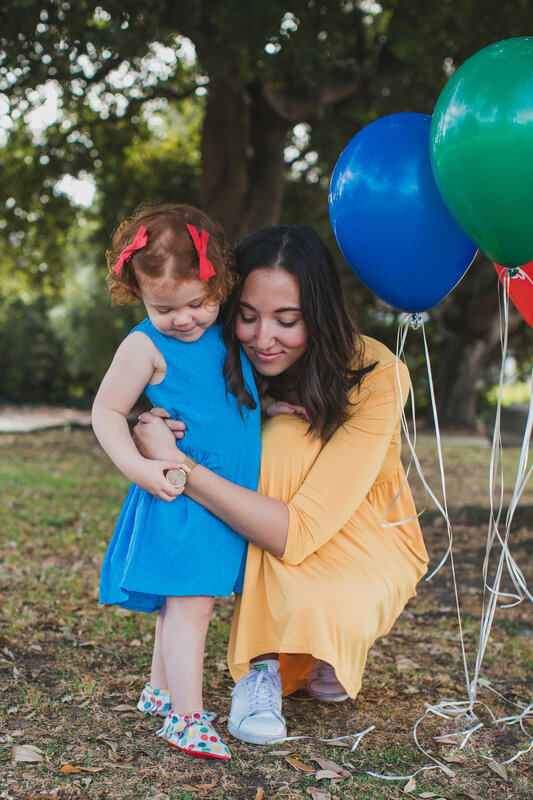 As parents we help narrate their little lives until they can do so on their own. So yes, my children inspire me and what I create. But it its that want to inspire other parents to live a life full of adventure and to make memories daily that drives the design for all that I create. 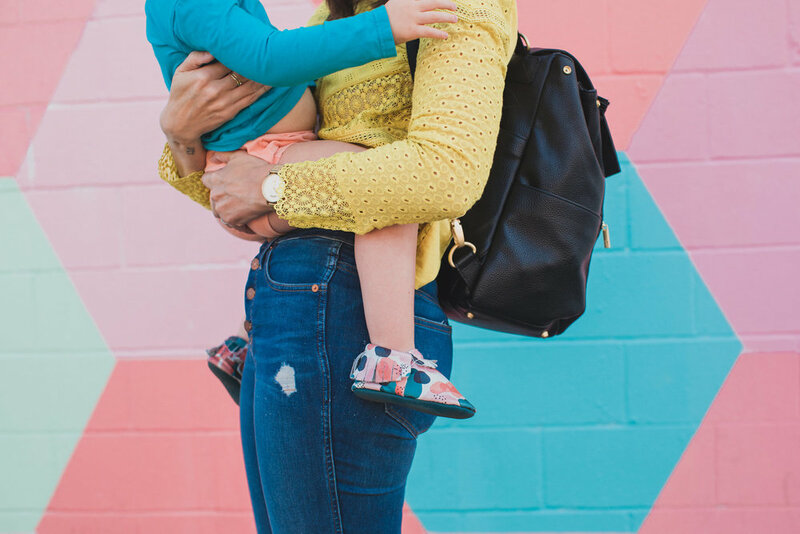 Motherhood and childhood although messy, it is the very best journey. It was with that notion my moccasin designs were born. 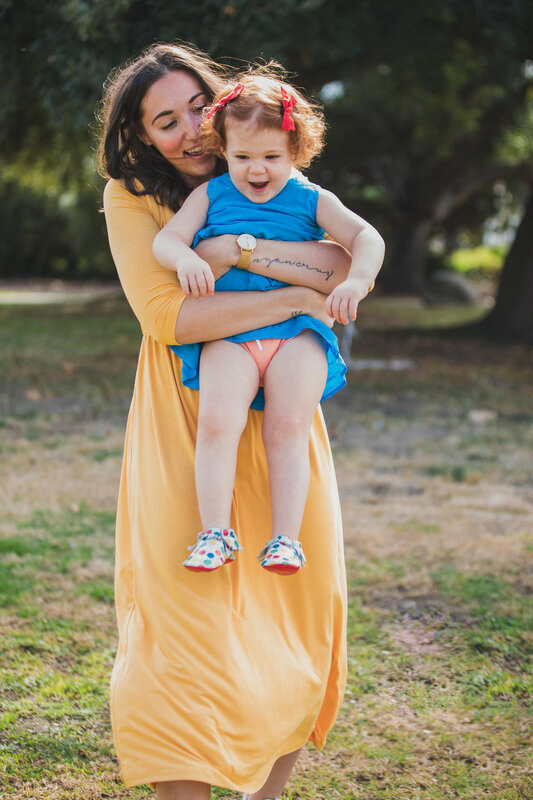 If you look closely to my designs you can see the mess, you can see the beauty and you can see the adventure that motherhood and childhood hold alike. Shop My Freshly Picked Collection HERE! To me this shoe encapsulates my daughter. It is soft and beautiful floral print shoe, but it also packs a punch with pops of bright pinks and yellow. The scattered florals remind me of how my baby girl can be messy and gorgeous all at once. I think children live a life free of judgement and inhibition. They truly love deep and play hard, they dance, they laugh all as if no one is watching them. Their life is their party, day in and day out. I wanted to created to a shoe that truly brought to life the way children live. A party isn't a party with out balloons. And if you know me, you know the red balloon within this design signifies my own son living his party as well. Shining bright upon me and my family. I also love the subtle beige background that mimics clouds in the sky, but also represents that beautiful mess life can be. Dare I say, this shoe is my most favorite? I see many kids wearing this shoe and living their party! This design in one word is 'childhood'. It is all over the place, with overlapping colors and scattered dots it screams that disaster childhood can be at times. Though the print overall has a gorgeous quality and weaves within it that feeling we as parents get when we look deep into our child's eyes. That warm love mixed with overwhelming awe. This design takes you by surprise but doesn't back down until you fold and say "yes". It was the best way I could emulate my children within a design. Beautiful. Bright. Messy. Poppyseed is an artistic approach in describing childhood.